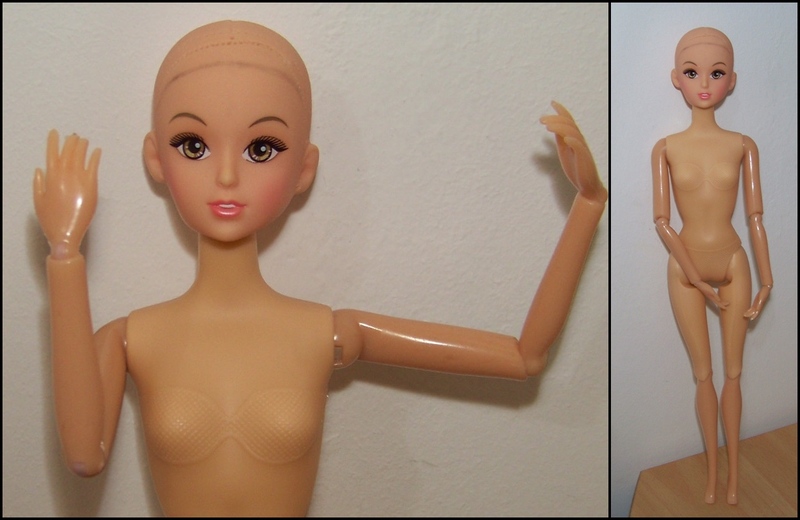 The $2 body aka “doll toy no head” or the pale fakie body without the torso joint. Ok where to start? Well mine arrived broken and with two right lower legs so that took a classic “drill a hole with a nail drill, put in a piece of paper clip + glue it” fix and it’s kind of obvious that she’s got wonky lower legs. 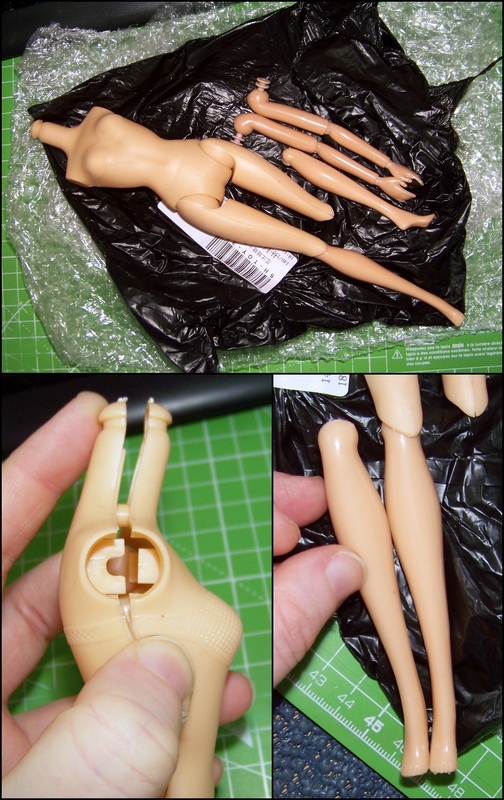 The body arrived with the arms seperate so you’ll need to crack open the torso to put them in. The hard plastic has black marks that only go away with sanding or wiping with magic eraser. The neck knob doesn’t allow for much range of movement. The arms and lower legs are vinyl of a darker skintone with darker marks in the vinyl itself (cannot be removed), joints of a different colour and some flash on the hands. The joints hold well. The different pieces aren’t removable. While this body is a *lot* less floppy than the fakie body with a torso joint and is an OK match for pale skintones it’s also lesser quality in terms of the hollow plastic and mismatched arms/lower legs. You’ll need a magic eraser + craft knife to prep this body for use and it’ll be discoloured. I don’t recommend it for dyeing as there are too many different plastic types and colours. This entry was posted in Tutorials and tagged barbie, body, clone, fakie on January 28, 2016 by saffy.